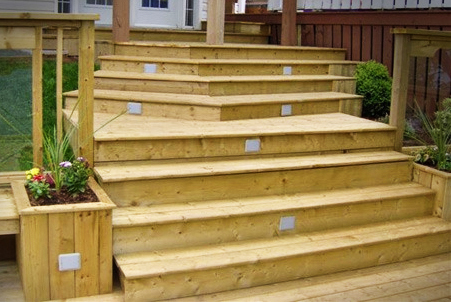 When it comes to outdoor stair lighting, there needs to be enough surrounding ambient light to see the stairs clearly. 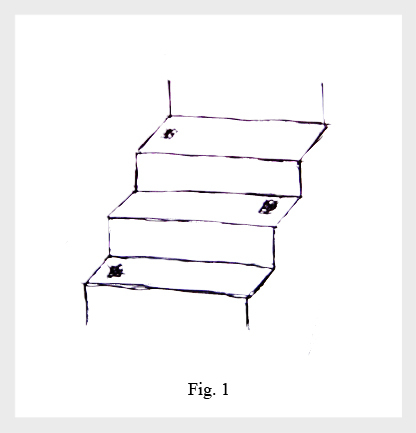 If there is not enough to provide adequate lighting for the stairs, specific stair lighting fixtures will need to be installed. Not only is this needed to increase the safety, but it will also increase the visual appeal and also add to the property value. The kind of outdoor light fixtures you will be able to use will be based on the layout and the surroundings of your stairs. Other considerations need to be taken such as, do you want to add permanent, durable fixtures that require wiring or would you want simple to install and flexible to arrange solar powered outdoor lighting. Recessed lighting, or light fixtures that are flushed with the wall/floor are a popular choice as they provide a minimalistic, sophisticated and modern look. This type of lighting for exterior staircases will require work to be done to install them: cutting of the stairs, stone path, or wall will need to be done for the light fixtures to fit flush with the surroundings. 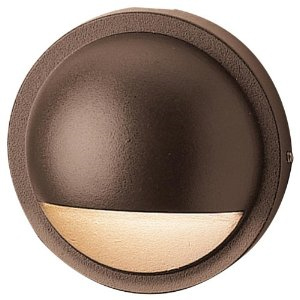 There is the option to use solar recessed lights, which will not require any wiring, but will still need areas cut out for them to be placed into. You can use down lights as an alternative to the trendy recessed lights. 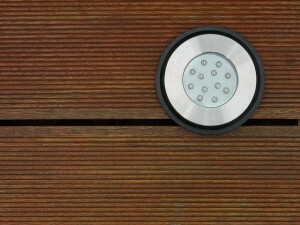 Unlike recessed lights, solar powered down lights will not require any major work to be done to install them. If you plan on using electrical down lights then installation work will need to be done to fit the wirings around the stairs/walls. Down lights would be one of the best options of exterior stair lighting, as it is a traditional and elegant lighting form. Because they are pointed downwards they do not interfere with a person’s vision, whereas recessed lighting can. Using this kind of lighting along with post cap lighting will create a sophisticated lighting design plan. 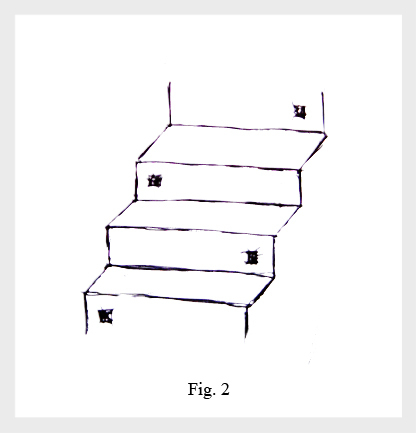 To be able to use these fixtures you will need to have a wall on either side of the stairs or even both. If you do plan on putting down lights on both sides of your stairs, see if it will look better alternating the sides on which the lights are on. The “airport runway” effect is when you have lights lined up on both sides, which you want to avoid. 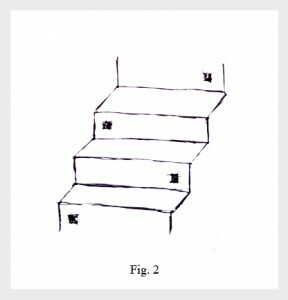 If you do not have walls on either side of your stairs one option would be to use post lighting. These are stakes with light fixtures attached on top. These then that get buried within soil or rock. 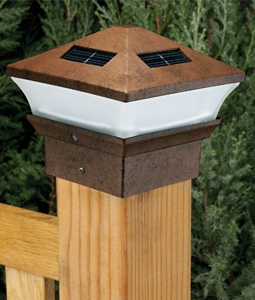 It is common to have the post lights electrically wired, but it would be much easier, faster and cheaper to use solar stake lighting. Any railing that has posts can have post caps placed on them. Though they might not provide enough lighting to illuminate the stairs, adding these to your lighting design creates different lighting effects (key in creating visual appeal with lighting). 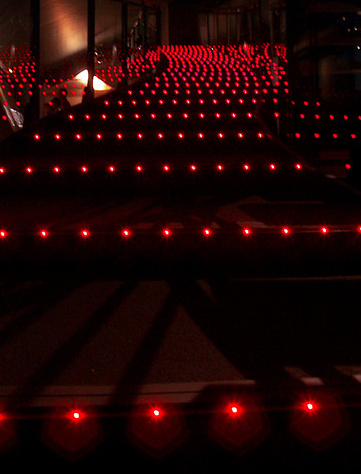 Once again these can be solar stair lighting fixtures, providing a quicker and easier lighting solution. An alternative to post cap lighting would be under railing lighting. 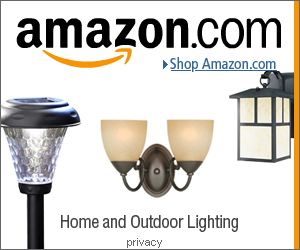 For this, it is common to install rope lights under the hand railing, out of eye sight. Rope lights are led lights encased within a plastic tube to create a rope. When it comes to design aesthetics, using post cap lights would be a better choice for railing lighting. If you do not have any posts to place the caps on, then under railing lighting will be second best. 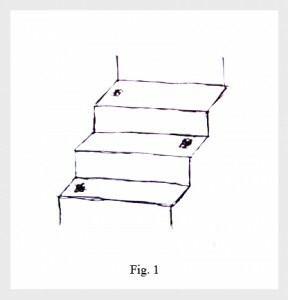 These rope lights can also be installed right under the lip of the stairs, as an alternative to the other stair lighting techniques. You will want to avoid the runway effect. This is when the outdoor light fixtures are placed on both sides of the stairs right opposite each other. Instead, look to alternate the placing. 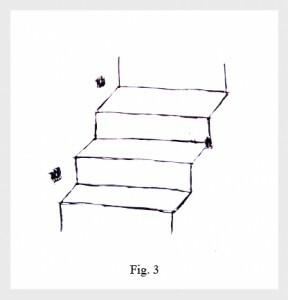 Also with lighting techniques such as step lip or recessed lighting, you do not have to have lights on every step. It is better to use a number of low lighting fixtures (installed around the steps, railings, or on the sides), than to use a few powerful, overbearing light fixtures. 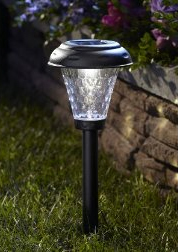 As mentioned above, it is important to vary the type of light fixtures used when planning your outdoor lighting. Varying the type of light fixtures you use creates different lighting effects, which is much more visually appealing than using one type of light fixture, creating a monotone look. As well as being a visually appealing it will be more comfortable on the eye when walking on the stairs at night.